Grand Cayman, Cayman Islands, August 22, 2016 – On August 18, CCRIF SPC (formerly the Caribbean Catastrophe Risk Insurance Facility) made a payout of US$261,073 to the Government of Belize under its excess rainfall insurance policy, as a result of heavy rains that affected the country on August 4 & 5 during Hurricane Earl. CCRIF’s prompt payment to the Government demonstrated its commitment to provide policy payouts within two weeks after a qualifying hazard event. 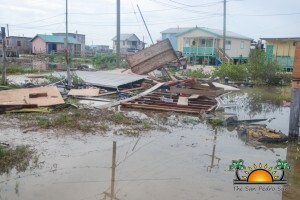 The National Emergency Management Organization reported that the rains caused widespread flooding, resulting in damage to homes and businesses, interruptions of water and electricity services and losses to the tourism and agriculture industries. Belize purchased excess rainfall coverage for the first time for the 2016/17 policy year, which began on June 1st. The modelled “Rainfall Index Loss” determined from the level of Hurricane Earl’s rainfall was greater than the attachment point (the “deductible”) on the country’s excess rainfall policy and therefore the policy was triggered. As part of its disaster risk management programme, Belize also has a CCRIF tropical cyclone (TC) – or hurricane – policy, which is based on modelled losses due to wind and storm surge. However, the modelled losses from wind and storm surge due to Hurricane Earl were below the policy attachment point as selected by the Government and therefore the country’s TC policy was not triggered. The excess rainfall policy complements the TC policy allowing Belize to be covered for both wind and rain that often occur at the same time during tropical cyclones. CCRIF’s parametric insurance policies are insurance contracts that make payments based on the intensity of an event (for example, amount of rainfall) and the amount of loss calculated in a pre-agreed model caused by the event. Therefore payouts can be made very quickly after a hazard event. This is different from traditional insurance settlements that require an on-the-ground assessment of individual losses after an event before a payment can be made. For the policy year 2016/17, CCRIF sold 15 tropical cyclone policies, 11 excess rainfall policies and 13 earthquake policies to its 17 members in the Caribbean and Central America. CCRIF has been providing tropical cyclone and earthquake coverage since 2007 and first introduced its excess rainfall policy in 2013. In 2017, CCRIF expects to bring to market a new policy for drought. About CCRIF SPC: CCRIF SPC is a segregated portfolio company, owned, operated and registered in the Caribbean. It limits the financial impact of catastrophic hurricanes, earthquakes and excess rainfall events to Caribbean and – since 2015 – Central American governments by quickly providing short-term liquidity when a parametric insurance policy is triggered. It is the world’s first regional fund utilising parametric insurance, giving member governments the unique opportunity to purchase earthquake, hurricane and excess rainfall catastrophe coverage with lowest-possible pricing. CCRIF was developed under the technical leadership of the World Bank and with a grant from the Government of Japan. It was capitalized through contributions to a Multi-Donor Trust Fund (MDTF) by the Government of Canada, the European Union, the World Bank, the governments of the UK and France, the Caribbean Development Bank and the governments of Ireland and Bermuda, as well as through membership fees paid by participating governments. The Central America SP is capitalized by contributions to a special MDTF by the World Bank, European Commission and the governments of Canada and the United States. Since the inception of CCRIF in 2007, the facility has made 15 payouts totalling approximately US$38.8 million to 10 member governments, with the most recent payout made in August 2016 to the Government of Belize for Hurricane Earl. All payouts were transferred to the respective governments within two weeks after each event.